Vesuvius in Italy, Kīlauea in Hawaii, Fuji in Japan, Eyjafjallajökull in Iceland – volcanoes have always earned our attention. Their history is an account of catastrophic events, but also involves coexistence and the development of great civilizations. Volcanoes have a strong bond with humanity, expressing attraction, fear, destruction and rebirth. Despite the danger volcanoes pose, humans always re-settle areas that have been recently devastated by eruptions. The author helps the reader discover and appreciate these giants of fire, explains how their history is tightly intertwined with that of life on Earth, describes their influence on the global climate and their interaction with the environment, and clarifies how they may represent an important resource. In order to reduce the risks linked to volcanoes, we need to know them: they can be our allies and contribute to our quality of life. 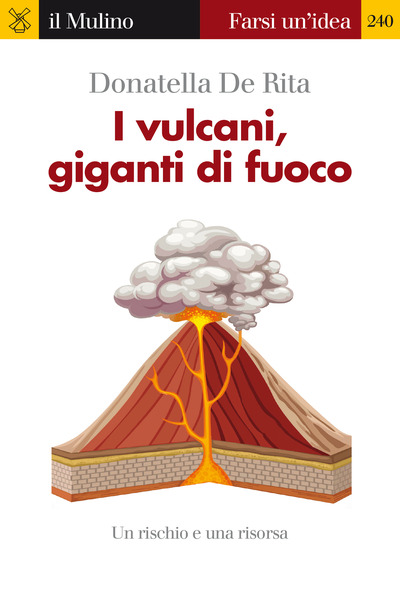 Donatella De Rita teaches Volcanology at the Third University of Rome.